In 2017, Korg expanded Gadget’s range by introducing an identical version for Mac OS, bringing its intuitive approach to the desktop. The full install of Gadget for Mac is bundled with more than 30 plug-ins, including the recording gadgets Zurich and Rosario, as well as a virtualized collection of their most iconic hardware synths. 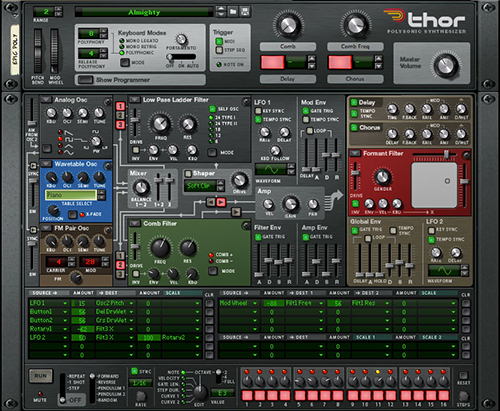 Though many of Gadget’s synths are so immediately approachable that there’s no real need for tutorials, others can look a bit cryptic to new users. Even if you’re an experienced synthesist, there are nuances in each of the instruments that go beyond the obvious functionality. So, for this master class, we’ll dig deeper into the more sophisticated gadgets, exposing possibilities that may not be immediately apparent. This summer, Geary Yelton and I evaluated over 200 iOS music apps (available as of July 2017) and picked our favorites. This list is as complete as it can be as of right now, but with new apps released every week, it's impossible to keep it up to date. Case in point, since the issue arrived, PPG Infinite and Intua Beatmaker 3 were released and would have definitely made the list. Look for reviews of those apps in Electronic Musician very soon. That said, if you're just getting an iPad and/or want to add music apps to your arsenal, this is a comprehensive guide to what's out there right now.